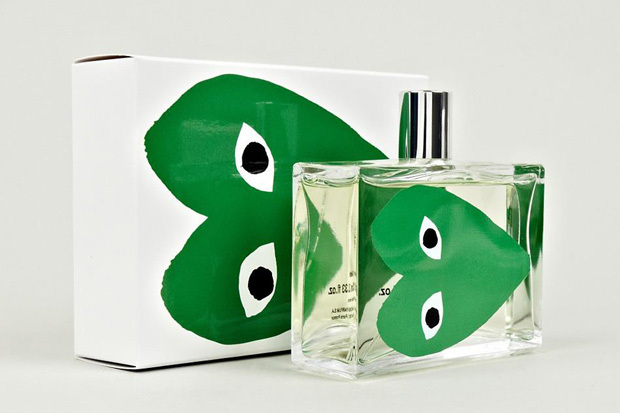 COMME des GARÇONS present this limited edition three bottle fragrance pack as part of their PLAY line. COMME are no strangers to the perfume game, releasing their first COMME des GARÇONS Parfum in ’94 and continuing to do so ever since. This pack comes branded with the famous PLAY heart. Three different fragrances are represented by three different colours of the heart; green, red and black. The green fragrance is a fruity, citrus scent, as you would think when looking at the bottle, with the green heart bringing up thoughts os lime and apple. Included notes are nanah mint, lime, juniper berry, basil, jasmin, mastic, ambrette, vetiver and cedar. The red fragrance (as you probably have guessed) is more of a fruity number in the way of berries. Included notes are red mandarin, pink peppercorn, safraleine, red cherry accord, geranium, cinnamon, osmanthus, myrrh and tolu balsam. The final bottle, black, is what you would assume; a powerful, masculine fragrance, including notes of black pepper, pepperwood, red pepper, violet, thyme, black tea, birch tar, incense and tree moss. Three equally unique fragrances that give you a selection of flexibility to fit your mood and/or the occasion. If you don’t want to splash out on the triple pack, you can actually buy each bottle individually as well, however, you do save a decent amount of money per bottle when buying the pack. 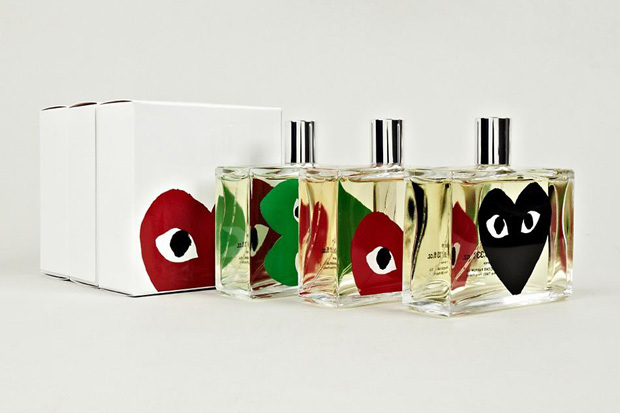 Priced at £165 for the triple pack and £65 per bottle on their own, the COMME des GARÇONS PLAY triple fragrance pack is available now from oki-ni.